Hello, Beadazzlers! This is Natalie writing. Up to now we’ve made this blog all about beads and jewelry — but now I want to try something a bit more personal. After all, jewelry is very intimate (waist beads especially exemplify this). It lies against our skin, picks up and holds the warmth of our bodies, and carries memories and sentimental feelings only we know. So to me it seems fitting to connect beads to another personal passion: reading. In this new series I’ll* write about connections between jewelry and literature, posting whenever I read (or re-read) a book that inspires bead-related thoughts. 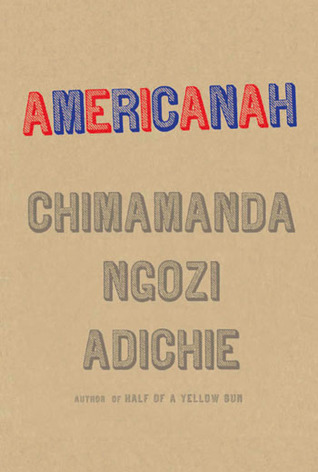 Today I’m all about Americanah, the latest novel by Nigerian novelist Chimamanda Ngozi Adichie (who you may know from Beyoncé’s “Flawless”). You might notice that beads didn’t exactly feature in that summary of the novel. That’s because they don’t actually play much of a direct role in Americanah. Appearance, however, does: race, weight, fashion, hairstyles, and so on are all huge indicators. Indicators of status, of personality, of lifestyle, and of how the person in question wants others to perceive all of the above. Plus there’s the fact that the African continent has a history of bead arts dating back to 10,000 BCE. So you can see why this novel would make me think about jewelry. I’ll admit, my first thoughts upon finishing Americanah were all about Ifemelu and Obinze’s love story — and it is a great one. But soon I became curious about jewelry in Nigeria, especially Lagos. Has it changed over recent decades? If so, how, and do those changes reflect / connect to the huge changes taking place in modern Lagos? How does jewelry vary across classes and location? Is it Western in style, or more connected to traditional Nigerian (that is to say, Igbo/Yoruba/Hausa/etc) styles, or is it a blend of both? What would Ifemelu say on this topic if she tackled it in her blog? I decided to start with the simplest question: what does jewelry in Lagos today actually look like? I was surprised to see so few necklaces, but enjoyed the earrings and especially several instances of detailing that looks like it could be bead embroidery. Although the runway fashion is beautiful and impressive, I actually preferred looking at street style. It seems more accessible, and much more relevant to Americanah and to Ifemelu than the high fashion of LFDW. Personal street style (rather than professional fashion) also fits better into my thesis of jewelry as an intimate adornment. But both on the runway and off, Lagosian fashion and jewelry seems to involve an innovative and eclectic balance between traditional and modern influences. You can see this in the image of a woman who pairs jeans with stacked chunky bangles and a necklace that looks like it features some batik bone; in the photo of two women who mix bright traditional prints with high heels and sharp chevrons and stripes; and in the bead embroidery that shines on the runway. This balancing act infuses Americanah on a much more individual level, sometimes causing pain or conflict, sometimes producing great insights. Blogging is Ifemelu’s way to work through and with this balance. It seems many other Nigerians use fashion and jewelry for the same ends. Case in point: LFDW founder Omoyemi Akerele says that “fashion might seem frivolous, but it contributes to who we are as everyday people — as Nigerians, as human beings.” Like Adichie’s books, beads and jewelry are a form of art in Lagos, in Nigeria, and everywhere. Our new “Books and Beads” series is written by Natalie Thielen Helper, Beadazzled sales associate and public relations manager. If you would like to contribute to this series, email Natalie a pitch at BeadazzledPR (at) gmail (dot) com.